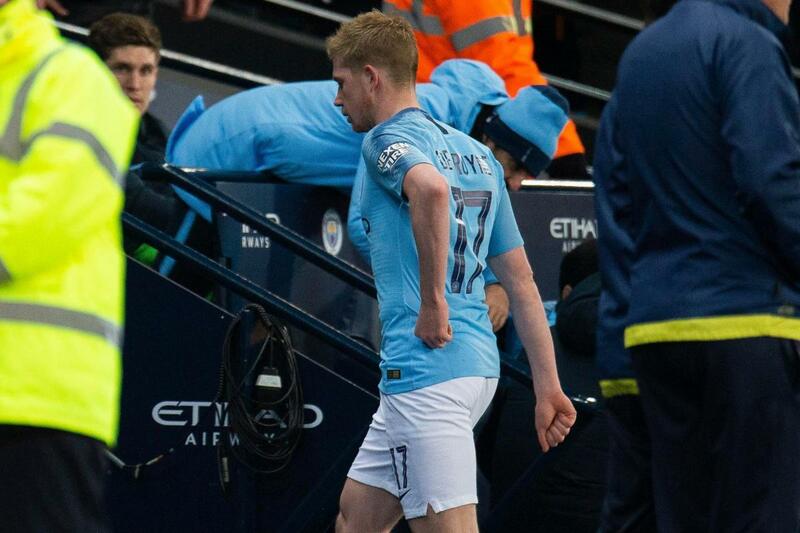 Kevin De Bruyne stormed straight down the tunnel after he was subbed during the 9-0 win over Burton Albion in a sign he wasn’t happy with being taken off. The Manchester City midfielder was hauled off and replaced by Phil Foden in the 58th minute of Wednesday’s Carabao Cup clash. The 27-year-old left the pitch with his head down after he appeared to disagree with Pep Guardiola’s decision. It is understood that the Belgian midfielder was not injured and wanted to stay on the pitch. Most players would be expected to watch the rest of the game from the sidelines, but De Bruyne had other ideas. He charged down the tunnel on his own and headed towards the home changing room at the Etihad Stadium. After the match, Guardiola was asked whether De Bruyne’s reaction was the result of an injury. De Bruyne has made just six appearances in the league this season following two serious injuries. But the Belgian looked back to his best when he opened the scoring after just five minutes of the match. City were 5-0 up when he was subbed off before Guardiola’s men went on to win the match 9-0. De Bruyne is expected to return to the starting line-up for Monday’s crunch clash against Wolves at the Etihad.